Bathtime becomes a breeze with the Chad Valley Waterfall Blossom Bath Toy which is sure to delight your most cherished! No fuss no bother, simply pour water in the top flower which has the knock on effect of spinning all the others as well. A simple suction cup attachment for bath or tiles makes this fun playable toy easy to affix plus draining and cleaning is equally as easy. Size H10.6, W9.1, D21.7cm. 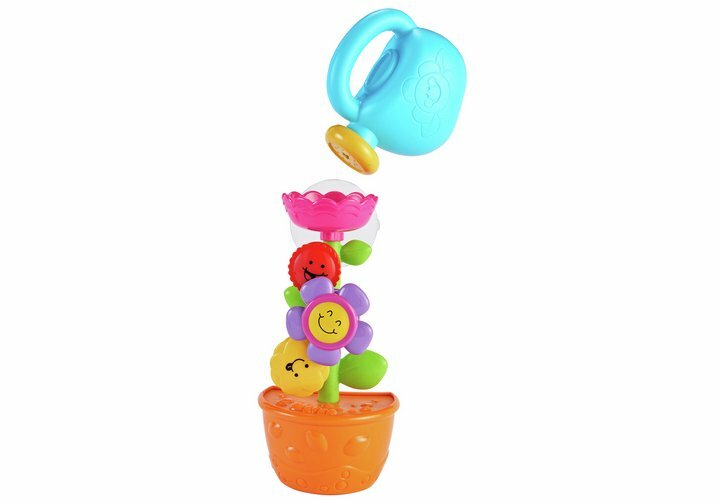 Get money off with April 2019 free Argos voucher codes, see if there's a promo code for the Chad Valley Waterfall Blossom Bath Toy product. Argos may be out of stock of this product. To enhance your shopping experience you may also be redirected to a search results page when you click an outbound link.